Our concrete grinding and polishing in Boise, Idaho is a low-cost and effective flooring solution for commercial and residential properties. Polished concrete is a high-performance surface that resists damage and moisture yet creates an aesthetic look that’s hard to rival. Polished concrete floors are an ultra-durable solution with a great deal of flexibility in terms of strength and appearance. Considering a polished concrete floor for your basement, hospital, hotel, or storefront? As one of the leading concrete polishing companies in Boise, ID, we deliver superior results you can trust. 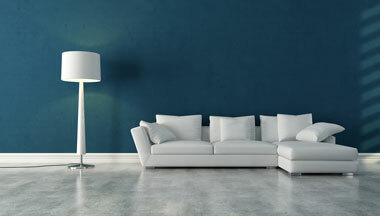 Where Are Polished Concrete Floors Used? We perform concrete polishing for all types of industries in Boise, Idaho as well as residential customers. Polished concrete is a versatile flooring solution that helps your concrete floor withstand heavy foot traffic, chemical spills, and everyday wear and tear. While it’s typically used in commercial settings, polished concrete can also be very beautiful in a basement, garage, or other living spaces. The following are the most common applications for which we offer our concrete polishing service in Boise, ID. Grocery stores and retail storefronts. Public buildings like fire stations. Public restrooms, weight rooms, and gyms. Warehouses. 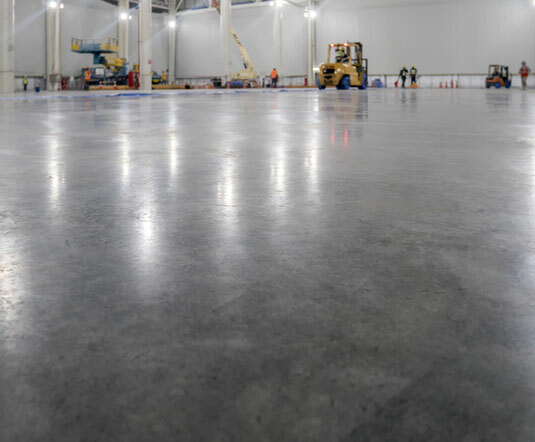 A polished concrete floor can resist spills and damage from forklifts and heavy loads. Residential polished concrete floors. A growing number of homeowners are turning to the beauty and strength of polished concrete for residential flooring. 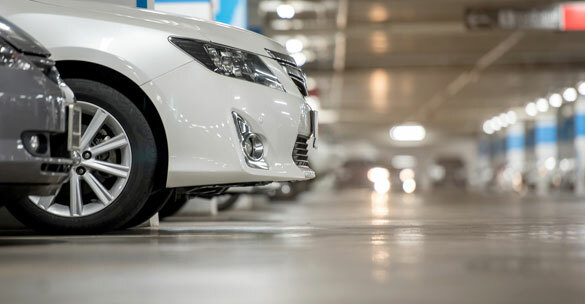 One of the most popular solutions is a polished concrete garage floor, which stops concrete dusting and creates a durable surface that’s even suitable for working on your car or hobbies. A polished concrete basement floor, on the other hand, can be an excellent solution to transform a damp and cold basement into a beautiful and usable living space. Not sure if a stained polished concrete floor is the right choice for your home or facility? Our concrete polishing service in Boise, Idaho offers several unique advantages for every application. Here’s why our customers have fallen in love with their polished concrete floor. It’s a common misconception that polished concrete always resembles gray concrete that simply has a glossy, smooth surface. Actually, our concrete polishing service requires many steps and allows for a great deal of customization. The color and even sheen level of polished concrete can be customized with a sheen ranging from stain to high gloss. With a very high sheen level, polished concrete can resemble polished granite — especially when combined with stains. A stained polished concrete floor allows us to achieve almost any look you want, including a terrazzo look or even stained wood. 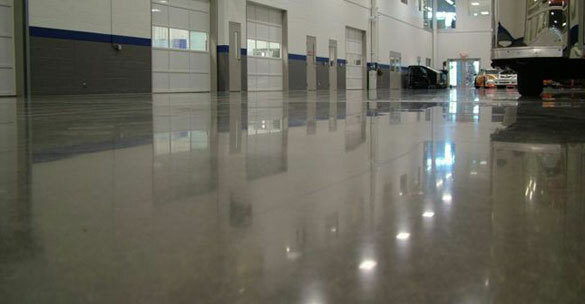 One of the most popular benefits of polished concrete in Boise is it’s easy to maintain and clean with little effort. This means improved convenience and reduced expenses. With polished concrete flooring, waxing and concrete coatings are not required, nor do you need to pay for the expense and labor that comes with these solutions. Polishing concrete creates a very wear-resistant and glossy surface that can even resist stains from chemicals and tire marks. Polished concrete comes with significant cost savings for facility managers and even homeowners. This is because it uses existing slab on grade to create a finished floor instead of applying a new floor covering. Polished concrete also reduces ongoing maintenance expenses and lasts for decades for even greater cost savings. Concrete grinding and polishing service in Boise, ID actually densifies and seals the surface of the concrete floor to create a durable surface that is far less porous than untreated concrete. A polished concrete floor repels chemical spills and water so they can be neutralized and cleaned up. The durable floor system also offers improved resistance to wear and tear and damage. Commercial businesses and homeowners can appreciate polished concrete for brightening a space and increasing the amount of light. Because polishing creates a very reflective surface, a polished concrete floor can reduce additional lighting requirements while projecting a clean appearance. This is especially important in dark basements as well as restaurants, hotels, and public areas. Call now and get a free quote for polished concrete services. Not sure if polished concrete is the right choice for your home or facility? Want to know more about the process of polishing concrete? Give us a call! 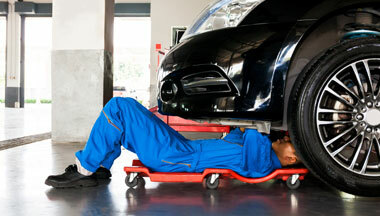 Until we hear from you, these questions from customers may help address your concerns. A: Many people mistakenly believe that polished concrete flooring in Boise is very slippery and even dangerous. The truth is that while polished concrete is incredibly smooth, it’s perfectly safe when clean and dry. Polished concrete is more slip-resistant than polished marble and we can apply an anti-slip additive to the final protective coat for additional protection. As long as the floor is properly maintained, it can be an extremely safe flooring system. 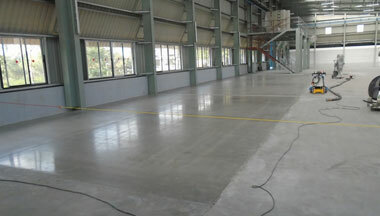 Q: How is a concrete floor polished? A: We use a multi-step approach for beautiful results. To produce polished concrete in Boise, we use a combination of diamond grinding and chemical treatments followed by polishing and honing. This creates a mirror-like finish. Concrete is polished using specialized industrial grinding equipment, including synthetic diamonds embedded in ceramic binders. Once your concrete is grinded initially to open the pores, we complete several passes with successively finer grinding products until your desired finish is achieved. We can also add stains and a protective finish to create the right look. A: Yes! If you need an estimate for concrete grinding and polishing in Boise, ID, please give us a call. We offer free in-person assessments of existing concrete to make as accurate a quote as possible based on square footage and the amount of prep work that will be needed.